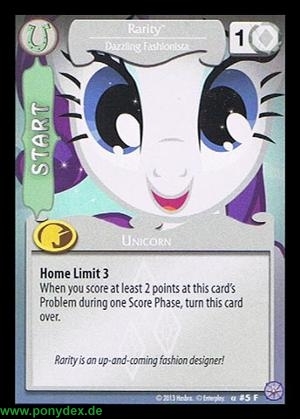 When you score at least 2 points at this card's Problem during one Score Phase, turn this card over. 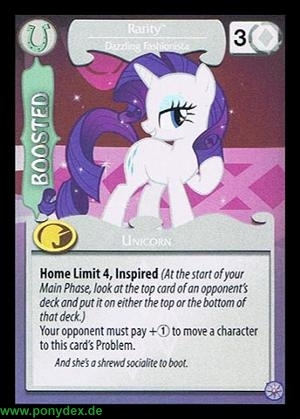 Rarity is an up-and-coming fashion designer! Your opponent must pay +1 action tokens to move a character to this card's Problem. And she's a shrewd socialite to boot.